Fertech applicators are more popular than ever today due to the high demand created by organic farming. Larger organic pellets need to be accurately applied and distributed. Thanks to specially designed dials, Fertech applicators are uniquely equipped to meet the needs of conventional and organic farming. Dry material to be applied is put in the hopper. A precision aluminum dial rotates through the material and accurately scoops a measured volume of material which is delivered to the drop tubes. Flow is continuous and very even thanks to the specially designed dial. The type and volume of material to be applied determine the dial and hopper sizes. Dials come in two styles: standard or high-volume. Five different widths are available to match your specific application: 1/2 inch, 3/4 inch, 1 inch, 1.5 inch, and 2 inch. Dials are matched to outlet size in the kit plate. The high-volume dial is ideal for larger organic pellets as it allows for 25% more discharge than the standard dial. High-volume dials also allow for the application of 25% more volume of any product when used at the same RPM as the standard dial. Narrow dials have an output of 300 - 500 lbs per acre. They're generally used with high nitrogen fertilizers popular in conventional farming. 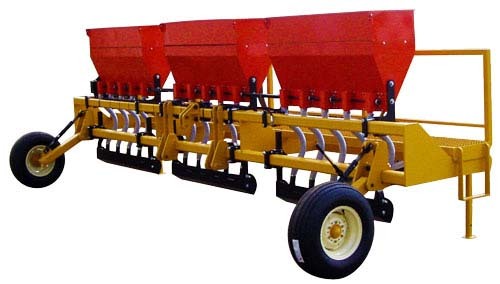 Wide dials are for high volume fertilizer and larger pellet types, like fish meal and chicken manure, used in organic farming. The number of dials/outlets per hopper depends on the number of dials in each kit plate. Kit-plates are CNC laser cut and come in 10 gauge mild steel or stainless steel. The plates are classified by the size of the discharge outlet. A standard kit-plate has two outlets (size varies corresponding to dial). Custom kit-plates with single or multiple outlets are also available. Hoppers are made of 16 gauge mild or stainless steel. Three standard sizes are available: 30-inch, 60-inch, and 72-inch. They hold approximately 2 cubic feet of material for every 1 foot of hopper length. 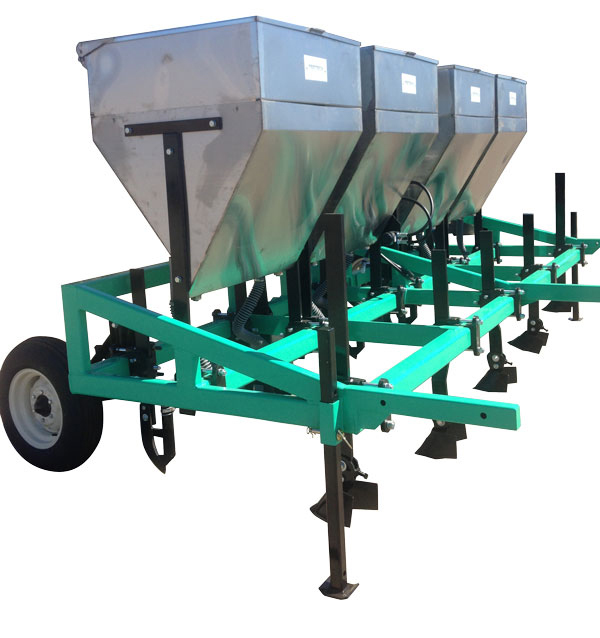 Vertical extensions can be added to the top of the hopper and will hold approximately 80% more material. Custom sizes are also available. Drive for most Fertech applicators is hydraulic. 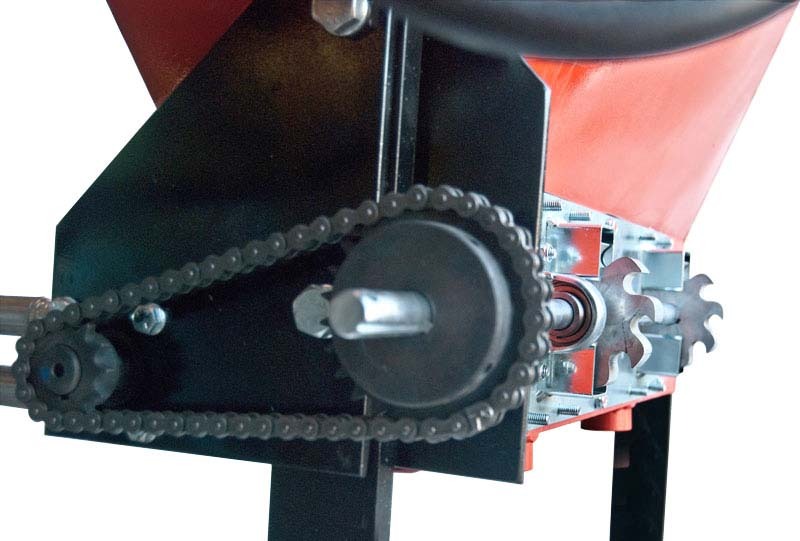 Using hydraulic drive makes varying application rates a snap.